Suzanne Hubbard learned how to weave from Swedish master weaver, Marguretta Grandin-Nettles on Nantucket Island in 1971. 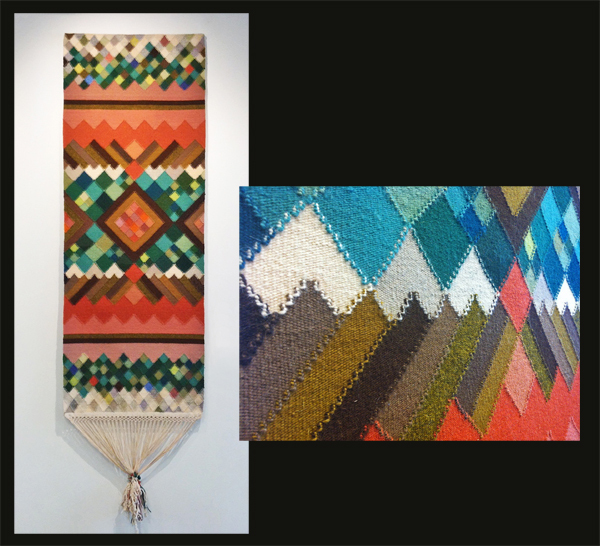 Pattern, structure, and texture are elements that feature prominently in Swedish weaving, and this was what attracted Suzanne to this particular technique. 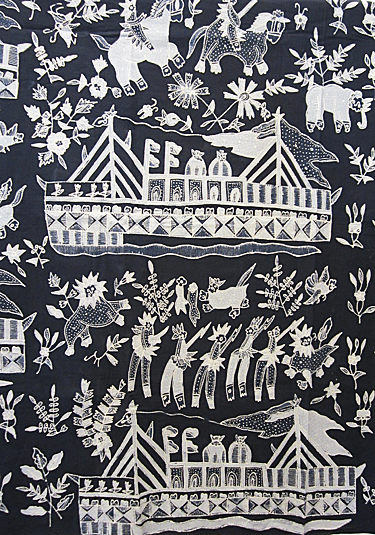 She travelled to Sweden where she continued to study weaving and textile design at two well known handcraft schools, Sätergläntan in Dalarna and Capellagården on the island of Öland. Suzanne’s career has included weaving commissions, participating in decorator show houses, and exhibiting in both galleries and museums. 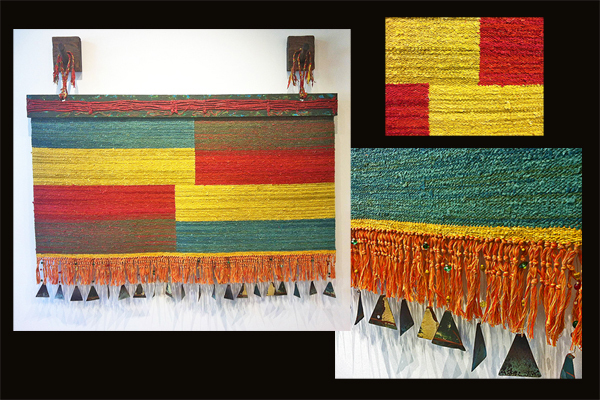 Over the many years of weaving however, her interest in pattern, structure, and texture has persisted. She has developed a deeper appreciation for the craft, the understanding of which are the themes of her current work. 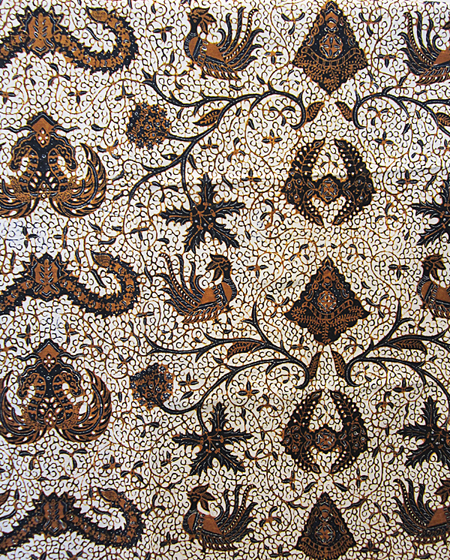 Weaving’s patterning process resembles a life-patterning process. Therefore, in addition to its visual aspects, it also creates a non-verbal language that graphically expresses Nature’s world of interdependent relationships. 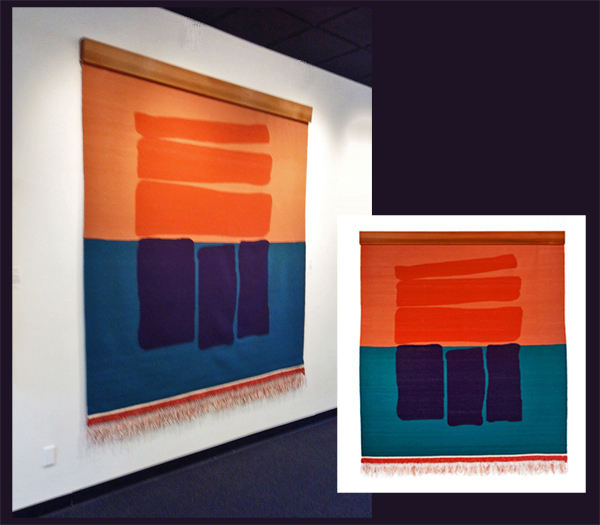 Pattern, structure, and texture are the elements that she uses in her work and the themes for her tapestries each express something important when seen from the integrated perspective of the whole cloth. Hand-dyed ripped cotton fabric, handcrafted hanger with acrylic, copper triangles, black beads. This tapestry blends the metaphors of gardening and weaving to express an organic approach to cultivating or weaving a personal life that expresses weaving's technology of integration, continuity, and cohesion. Dimensions: 60" x 70".